There have been many methods for this, gluing on rings, rubber pads, or line up a pocket clip, I recently came up with this idea (although probably not the first) and it works great! I’m using the very aggressive “mineral based” stuff. (sandpaper grit texture) A small pad of this goes a long way for locating a side switch in the dark. Another option (photo below) is to place a small pad or strip below/near/around the switch. For the TC20 I originally I did this so it wouldn’t cover the indicator light, but I made the pad too wide and it was less accurate to find the switch. I like your creativity. I’m sure this works really well. But, does it ever annoy you to have a rough button to press? Only on the Jetbeam E20R did I think that, just because that switch is so large flat and smooth, however for those same reasons it seems harder to locate in the dark. If someone needs to retain the smooth feel of their switch they can apply a small strip or pad directly under the switch (like I did on the TC20) or maybe on either side around it, that works great as well. But in general the benefits outweigh the disadvantages, To me one of the worst things about side switches is rolling a light around in my hand trying to feel for the switch in the dark. 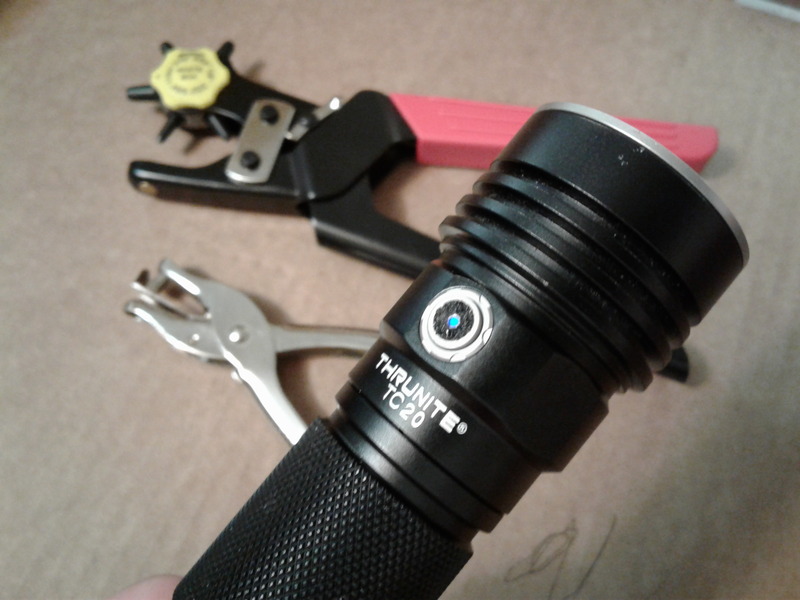 Pretty much all tail switches on flashlights have a textured rubber boot. 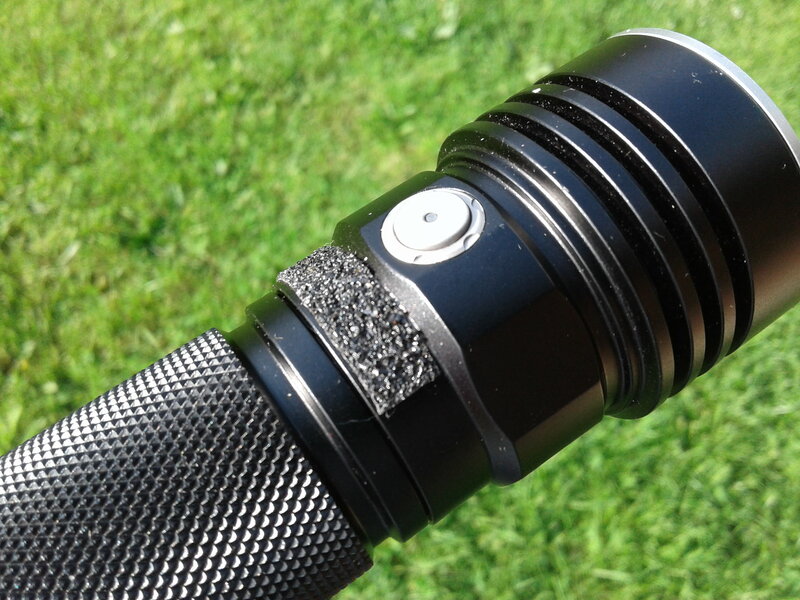 Almost all flashlights have knurling on them somewhere. Why would some texture on the switch be any different? 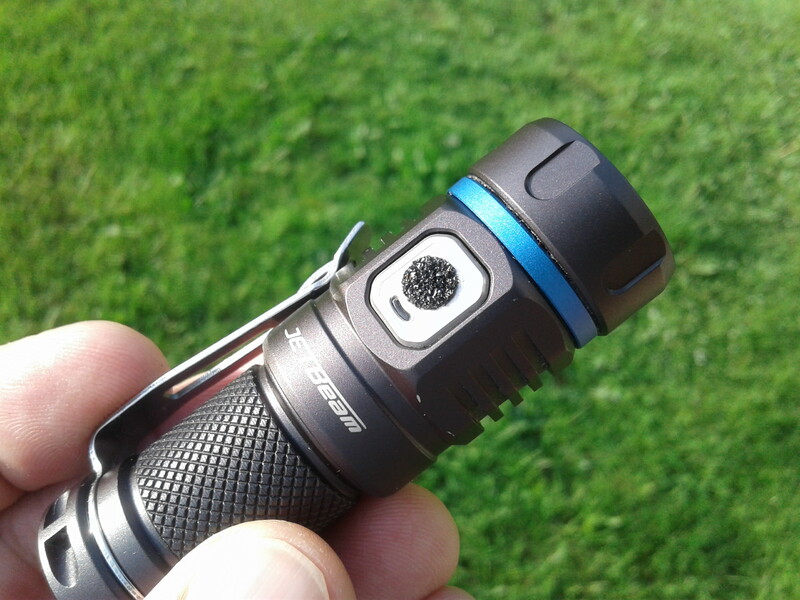 It helps find the switch, which is why flashlights have ridges or texture on/around the switch already. What does this have to do with tail switch lights? Regardless of whether you believe it or not, this stuff is a MAJOR difference from ANY knurling, maybe you’re thinking of the smoother texture tape? I’m using the VERY aggressive type of tape (mineral based, like sharp grains of sand) It’s a great resolve for locating a side switch in the dark. For me it totally corrects an unpleasant experience. But of course it’s not for everyone, obviously you’ve never had any problems locating a side switch because the existing “ridges or texture on/around the switch” are working for you, It’s great that you’ve never experienced the issue, so no worries. I took it that Enderman was defending the rough button idea. Yeah, I think he was responding to me asking about the rough button. The difference I see between the button being rough versus knurling or “rough” rubber boots, is that a sandpaper finish might actually wear out your skin a little when you press on it. The rubber boot won’t do that, and the knurling isn’t meant to be pressed on anyway, so those aren’t comparable. But, anyway, if the stuff works without bothering you, I’m okay with that. It was just a curiosity for me. Enderman may have never experienced the problem or read anyone’s complaints about it, but know I’m not the only one who has, I’ve read many posts about the issue with locating side switches. One thing I can say for sure, with this method I can spin a light around in my hand between my fingers feeling all of those existing knurling, ridges textures etc. 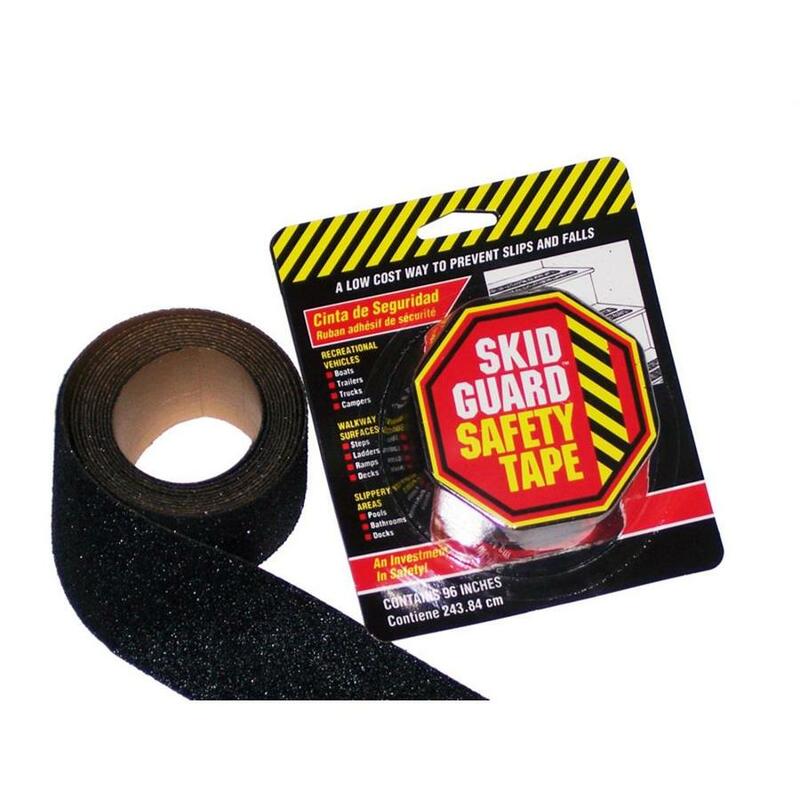 but when your thumb or finger makes even the slightest contact with this tape, you’ll know it immediately! Glow in the dark paint? beam0, I like that you found a grippy tape that helps you. At first I took Enderman the way you did, but after reading chadvone and rereading the quote in Endermans post, it sounds like hes supporting your rough patch idea, not contradicting it. … does it ever annoy you to have a rough button to press? His [not quoted] language structure before that statement, created a misunderstanding, for you and I both, at first :-). I’ve come to the conclusion that Enderman didn’t realize the type of grit tape I used, most of his statements do make sense for the smoother grip tape they use on pistol grips etc. It’s actually a good thing he commented on it because it caused me to further explain in detail the exact type of tape I used. In hindsight I realized there are (far) less aggressive tapes out there that are fairly common and pretty much would have no effect. Yes it feels something like that when you feel it to locate, but in actual pressing using the button you don’t really feel it that much. For me it’s an awesome fix for my issues finding side switches in darkness. Also look at the photo of my TC20, the grip pad isn’t even on the switch, and it works wonders for a switch locator! The tape I used is the very aggressive type, similar to medium coarse sandpaper. 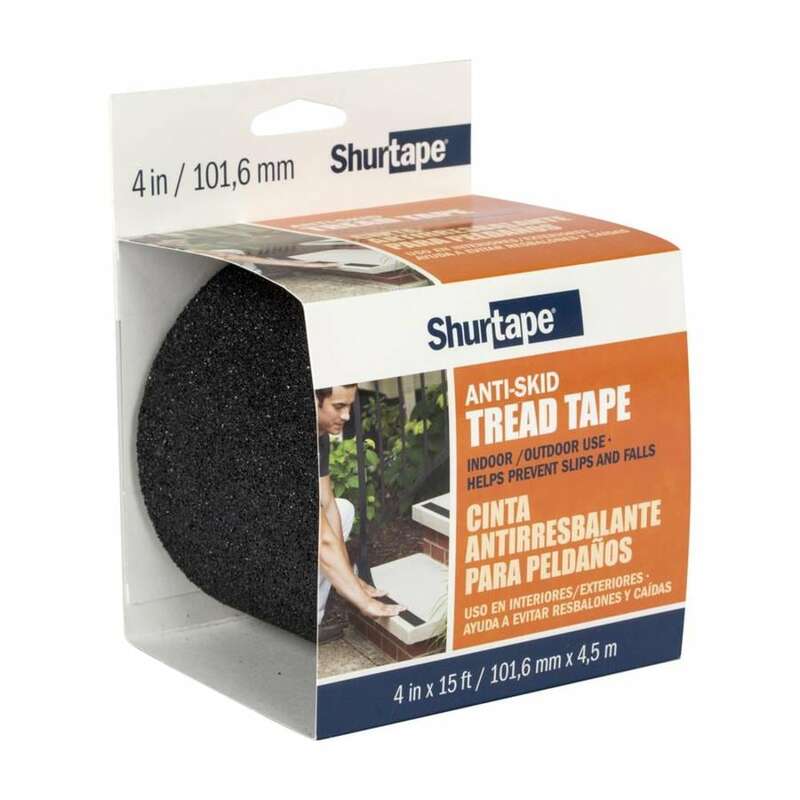 …..Here’s the tape I used, had it left over from other projects: ………………………………..This may be very similar, I’ll check it at Lowe’s next time if they have it. I have a Astrolux E01 that was extremely hard to find the button just by feel. I got so annoyed I made a taller switch button and installed a trit vial. Problem solved but this could have fixed the problem with a lot less work. I would probably have went with a little finer grit for my personal touch. Now you got me thinking of doing a whole dang light in that stuff. I have the tape on about 10 handgun grips and it’s not something that tears up or really bothers the skin, at least mine. It’s provides a great feel and is something I highly recommend for anyone with slippery handgun grips. No skin problems even with full bore .357 mag loads. 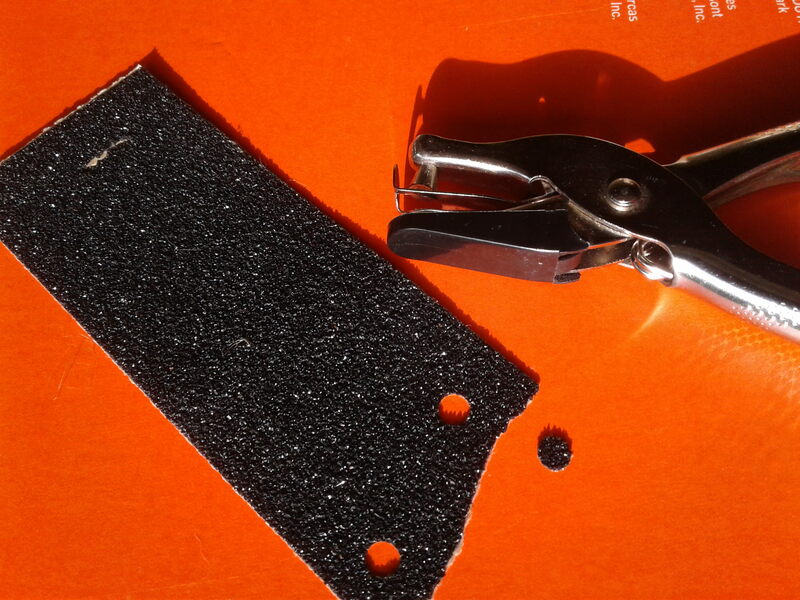 Another method you could use for similar effect if you feel the tape slips or moves out of place is apply a thin layer of resin or JBWeld then sprinkled with silicone carbide grit pressed in, various grit sizes available. Once it sets brush off the excess. 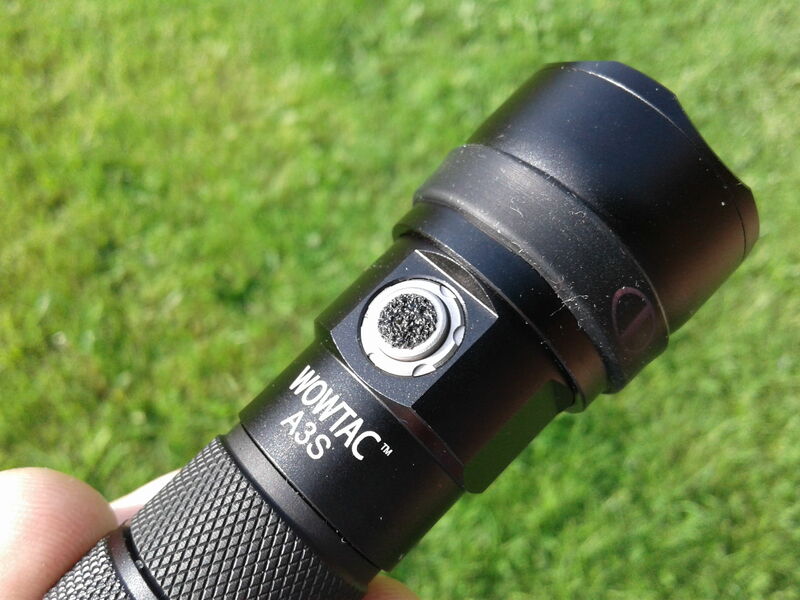 I know, the idea actually was born out of me wanting to add a “band” of it on the head of the A3S zoomie, due to poor grip when one-hand extending/retracting the sliding head, it really needed a band of knurling there. But I ended up stretching a silicone “vape band” around the head for that problem, you can see it in my photo if you look closely. Works like a charm! Yeah that’s a great idea, I did worry about it slipping but so far so good – no issues, the stuff has got a pretty darn sticky adhesive. The more I play with these lights tonight the more I like it. It’s truly a game changer for me! It’s really not at all, you maybe need to try it yourself before passing judgment. Of course different people, different skin. My hands/fingertips are kind of rough, so no issue at all here. Everything is a trade off, it’s what’s most important to you. For me fumbling for these side switches in the dark is not only “uncomfortable” it’s downright frustrating! For the TC20 I ended up making a “donut” ring using the paper punch and a leather punch for the smaller hole. How well do you think it will stick with pocket carry? Looks easy to replace. Just wondering. Have magnets glued to my pocket clip then covered with shrink tubing. The tubing last about 2 months. I think its worth it but others might not. I haven’t tried it yet but my guess is that it would stick pretty well (depending on the type/brand of tape of course). I have a strip running down the front strap of pistols with some tucked into the grips and others not. I haven’t noticed any of them lifting off with some of the pistols having 10k plus rounds through them. There’s more surface area on the front strap tape but there’s also a lot more force being applied to the guns than pressing or carrying a flashlight. Hey chadvone, that’s a good question and one I’ve thought about as well. I haven’t had these on long enough for any real life pocket testing, I’m currently recovering from a surgery and I’m not wearing regular pants or jeans yet, and probably won’t be for another week or two.